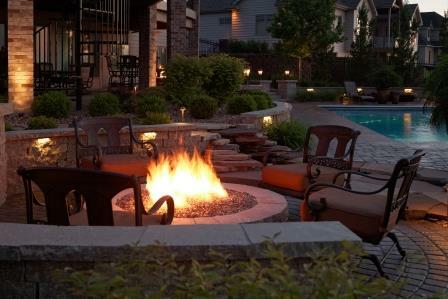 For the most stunning designs in outdoor firepits, fireplaces, and custom fire and water features, contact Elite Landscaping in Omaha, Nebraska. 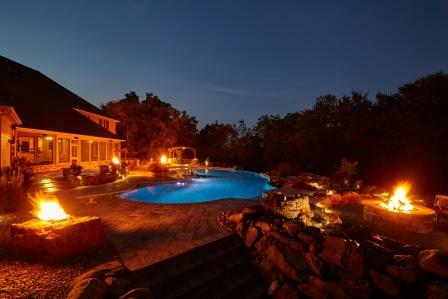 When a chill hits the air, there’s nothing more comforting than sitting by a glowing fire from your own backyard firepit. 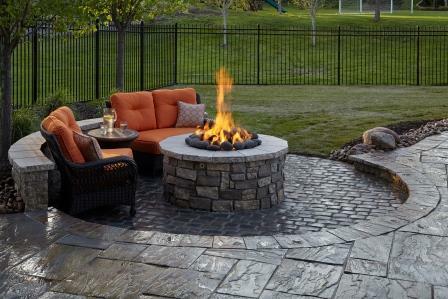 Elite Landscaping specializes in custom outdoor gas firepits and fireplaces that add warmth and beauty to your outdoor environment - all year long. 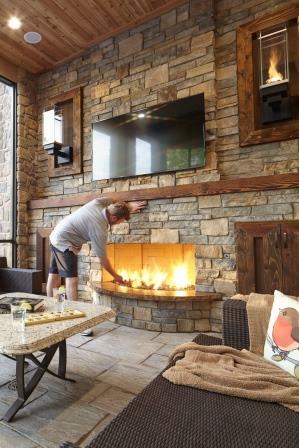 Imagine entertaining your family and friends around a patio fire pit, or cozying up to a natural stone fireplace in your three-season outdoor room. 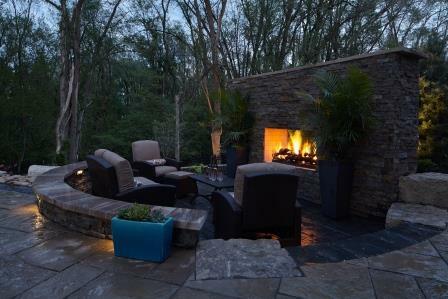 When it comes to unique, outdoor fire features, Elite Landscaping can create the custom outdoor firepits and fireplaces of your dreams. 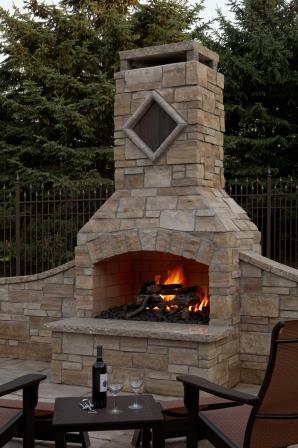 Elite Landscaping’s outdoor firepits, outdoor fireplaces and other fire features are designed with the finest hand-picked stone, and built to last. 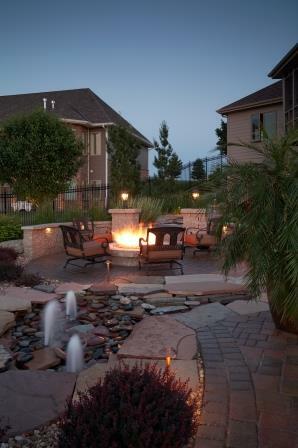 Together, we’ll discuss your outdoor fire pit ideas and the possibilities for fire pit designs. 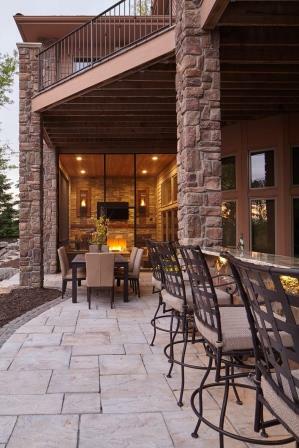 We then custom pick stones and caps to match your outdoor aesthetics, and build the unique shape and structure to fit your outdoor needs and lifestyle. 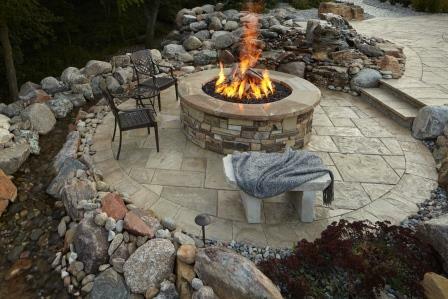 This unique, s-curved, gas fire pit table is a beautiful and functional addition to the patio and landscape. 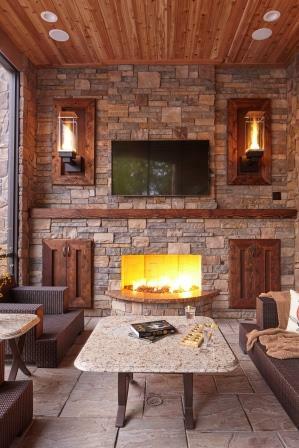 Your outdoor gas fire pit, automated fire bowl, or outdoor gas fireplace can be controlled by the starter of your choice. 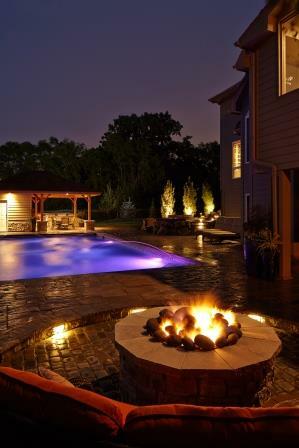 Some select Elite Landscaping fire features can be controlled by a convenient switch in your house, or even through an app on your phone. 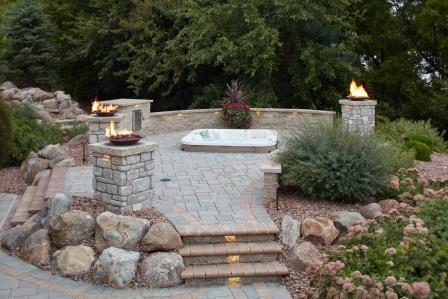 For reliability in the elements, Elite landscaping can also install a traditional gas valve and key start. 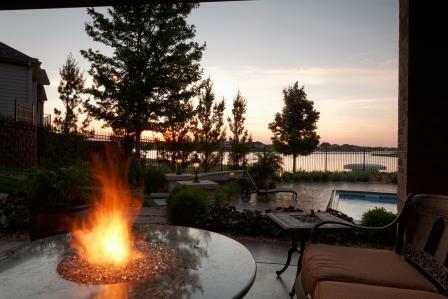 Let Elite Landscaping transform your outdoor living space. 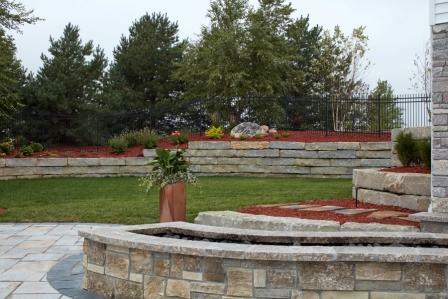 As a leading swimming pool contractor in Omaha, Nebraska, we also specialize in outdoor water features, outdoor kitchens and bars, hardscaping and paver patios.